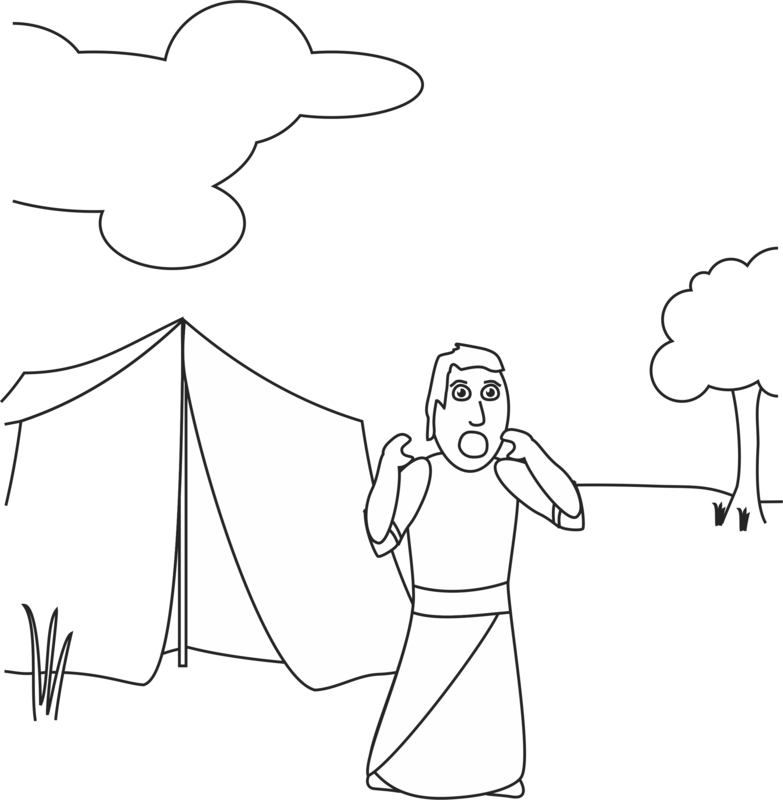 When Jacob arrived in the land of Paddan Aram, he saw a beautiful young woman named Rachel. Jacob fell in love with Rachel. Rachel brought Jacob home and introduced him to her family, including her father, Laban, who was Jacob’s uncle. Jacob agreed to work for Laban 7 years if he would be able to marry Rachel. Laban agreed, but when the 7 years were completed, Laban tricked Jacob, giving him Rachel’s younger sister, Leah, instead of Rachel. So, Jacob worked another 7 years and married Rachel as well. In addition to these two women, when they became married to Jacob, they each received a maidservant from their father. So, there came to be four women in Jacob’s house. Over the course of time, and with a competitive spirit between them, the sisters and their maidservants began having children. Jacob would eventually have 12 sons to his name. Jacob’s sons were Reuben, Simeon, Levi, Juda, Dan, Naphtali, Gad, Ashe, Issachar, Zebulun, Joseph and Benjamin. God has begun to keep his promise to make Abraham, Isaac and Jacob into a great nation. 1. Have the class try to imagine what seven years is like. Hold up a clock with a second hand and tell the children that they are going to watch the clock for seven minutes and they must be completely silent. As the second hand rounds the clock, have them put up a finger to count how many minutes have passed. 2. At the end of seven minutes ask the children if it seemed like a long time to them. 3. Tell them that you forgot, but to finish the lesson, they must watch the clock for another seven minutes in silence. After you give them a chance to respond, tell them you are only joking. 4. Explain to the children what is must have been like for Jacob to wait seven years for Rachel, only to discover that he must work for another seven years to get her. Ask the class how that would make them feel. Jacob was later renamed Israel by God. Jacob’s 12 sons would become the 12 tribes of Israel. Of all the children, Jacob’s son Judah would become the line of Jesus. Through the descendants of Judah, Jesus would eventually be born. 1. Divide the class into two teams. With the blanket in the middle of the room, have one team sit on either side of the blanket. 2. Lift the blanket so that the teams are divided and can no longer see each other. 3. Have the teams take turns sending one person at a time up to the blanket. When you drop the blanket, the two children on either side have to say the name of the other child as fast as they can. The fastest child wins the round. 4. Raise the blanket and call two new children forward. Play until all children have had at least on turn. 5. An optional alternative: Bring two shawls with you to class and have the two children cover their heads so you can only see their eye and then have them guess. 1. Place two sticks together, side by side, and tape them together, making sure to cover the whole stick but not the rounded ends. Turn these sticks over. 2. Take two more sticks and place them on either side of the first two. Tape the two new sticks to the first sticks. Make sure you only place each piece of tape on two sticks, just as you did in step one. Turn these sticks over. 3. Repeat step two until all twelve sticks have been taped together. 5. Use the crayons or colored pencils to draw hair, faces and clothes on each of the sticks, making the 12 sons of Jacob. You may even have them write the names of the sons on the backs of the sticks.